Held biannually on the HudsonAlpha Institute for Biotechnology campus, Genomic Medicine Conference brings together scientists, health care providers and the community to learn about how genomics is being applied in a variety of clinical settings and how to understand and use genomic information to improve health care. The next conference will be held in March 2020. Sign up for updates about the 2020 conference at genomicmedicineconference.org. Learn more about genomics and its increasing relevance to clinical practice and earn continuing education credits at Genomics & Your Practice. This series highlights intersections between genomics and medicine across multiple specialties using real-world case scenarios to frame discussion. integrate existing genomics resources relevant to clinical practice. Healthcare providers who take the course are able to receive continuing education credits. 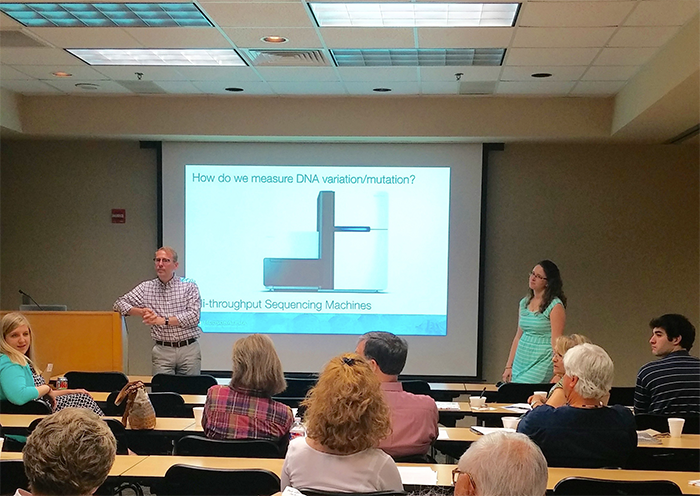 In addition to repeat offerings of the introductory course, future courses – offered quarterly – will delve deeper into genomics in specialty areas.